Leicester-based marketing experts, Alpha Gamma Solutions feels as though many businesses slow down in the run-up to Christmas, preparing for some time off, however, the firm believes that it is important not to let quality dip and has revealed why they pick up the pace in time for Christmas. With many companies thinking ahead to Christmas already and planning for Christmas parties and time off over the holiday period, Alpha Gamma Solutions is concerned that this ‘cool-down’ in the run-up to Christmas leaves many businesses playing catch up once the holiday season is over. The sales and marketing experts share how they prefer to keep their foot firmly on the gas in the lead up to Christmas. Having already had a highly productive year, attending several business trips, leadership meetings and hitting many of their targets, Alpha Gamma Solutions wishes to maintain this productivity throughout the holiday period. “This will put us ahead of the competition who are already thinking about slowing down for Christmas,” revealed CEO of Alpha Gamma Solutions, Alexander Graf. As the firm has recently returned from an R&R break, CEO Alexander Graf highlighted how the firm is now feeling refreshed and rejuvenated and ready to take the Christmas period by storm. Alpha Gamma Solutions has put some big plans in place for the run up to Christmas which include delivering record breaking results for their clients, a business trip to Miami to network with one of the industry’s top performers, and potentially expanding their market reach throughout the UK. Alpha Gamma Solutions outlines how this time of year is incredibly important to the firm as it gives them the opportunity to go into the New Year already ahead of the game which gives them a strong motivation to continue to this standard. Additionally, the holiday period is a crucial time for the firm’s clients due to all the competition for products and services at this time of year. Alpha Gamma Solutions highlights how Christmas also means a lot to their charity clients who hope that Christmas will be a spectacular time for giving. 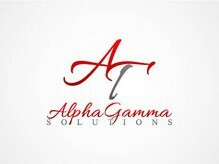 Alpha Gamma Solutions is an outsourced sales and marketing firm based in Leicester. The firm specialises in a personalised form of direct marketing which allows them to connect with consumers on their clients’ behalf via face-to-face methods of marketing. This one-to-one connection with consumers helps to encourage long-lasting and personal business relationships between brand and consumer. In turn, this often leads to increased customer acquisition, brand awareness and brand loyalty for their clients. * For more information regarding media usage, ownership and rights please contact Alpha Gamma Solutions .